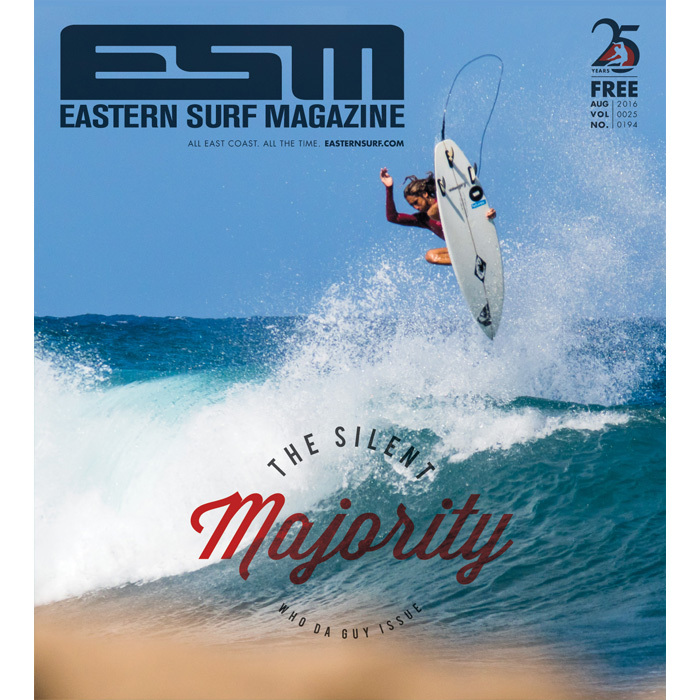 2016 ESeMMY Cover + Girl of the Year | EasternSurf.com | All East Coast. All The Time. First up, the best Page One of the year (according to our loyal readers and online voters): Miami native-turned-Puerto Rico shredder Marley Puglielli boosting big while Maine photographer Natty Graham (who spends a chunk of each winter working, surfing, and shooting in PR) found the radical rock-in-the-foreground angle. Check the vote tally below their beautiful August 2016 issue (Vol. #25, #194) cover to see how totally they dominated the count (53% of the vote, with Simon Hetrick and Mike Incitti’s Delmarva duel finishing a distant second with 30% of the vote. Good job rallying the troops, boys — and if you’ve ever met Natty or Marley, you know this honor couldn’t go to two nicer and more hard-working guys. Here’s to keeping the dream alive, gentlemen. Next up, our ESM Girl presented by IMSY Swimwear voting, which was live for a full week less DevynneBrenna Shea’sAmparothan the cover balloting but somehow generated 400 more votes. 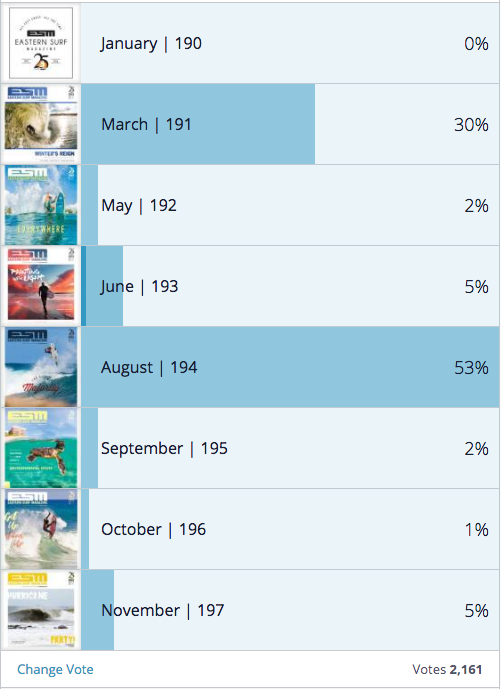 Although the vote tally wasn’t quite as lopsided as the cover, stunning underwater image (photographed by her husband, John) claimed 24% of the vote, with Dominican ripper finishing 2nd with 15%, Elise with 13%, and with 12% (follow all of those links for more photos of these amazing women, and check the final vote tallies below Brenna Shea’s winning image). Congrats to both of our winners for 2016!